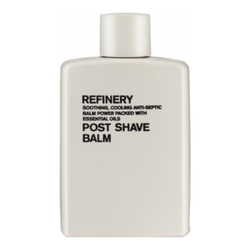 A shave oil that highly nourishes and hydrates the skin, reducing the risk of damage to the skin caused by shaving. 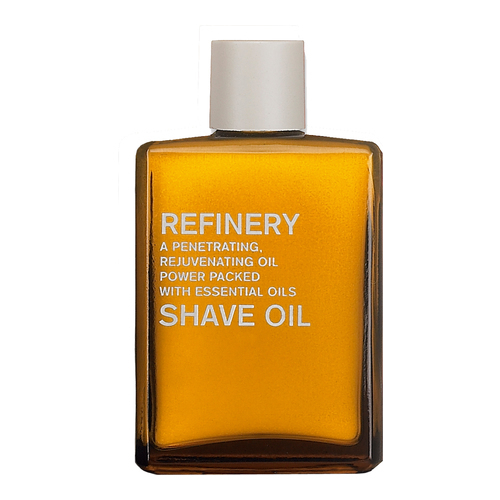 For the ultimate close shave, a light oil which penetrates the skin easily and can also be used as a post shave oil. Packed full of vitamins and antioxidants, with Borage and Jojoba to rejuvenate, Rosehip Seed oil to promote elasticity and help strengthen dry, damaged skin as well as soothing, antibacterial essential oils of Petitgrain, Patchouli and Geranium. • Massage four to five drops onto damp skin before shaving and if needed under Shave Foam Gel. Shave and rinse off. • This product is also effective as an intensive skin treatment when used under the appropriate Refinery moisturizer.